Do you know someone who loves beer? Maybe they crack open a cold one occasionally. Maybe they travel the country looking for the best breweries. Maybe it’s your dad and you forgot that Father’s Day is just around the corner. Whoever you’re shopping for and whatever the occasion is, we’ve compiled our top ten best gifts for beer lovers of all sorts. Growlers are great for going to your local brewery and getting them filled up with some good beer that you can dispense at home. 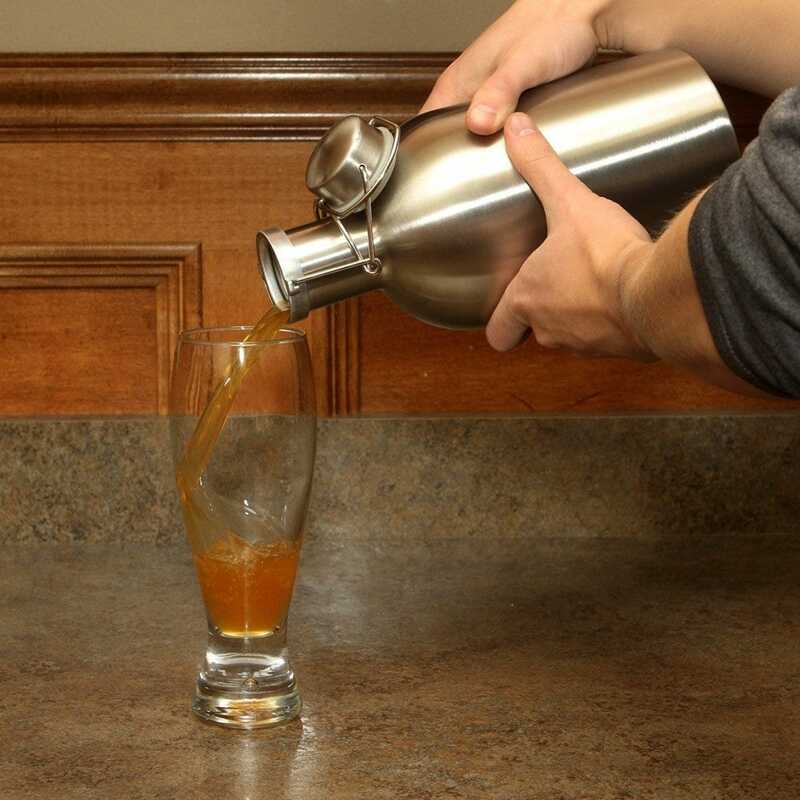 The G Francis Beer Growler is a stainless steel, portable bottle with a handle that makes it easy to carry around with you. It holds up to 64 ounces of your favorite beer, and thanks to the the airtight seal, your beer will stay fresh for days. For great quality and an even better price, this growler is perfect for the active beer (and outdoor) lover. Want a beer drinking experience that’s even more like the pub than using a growler? Have fresh beer from the tap in your very own home with the DELLA Mini Kegerator. 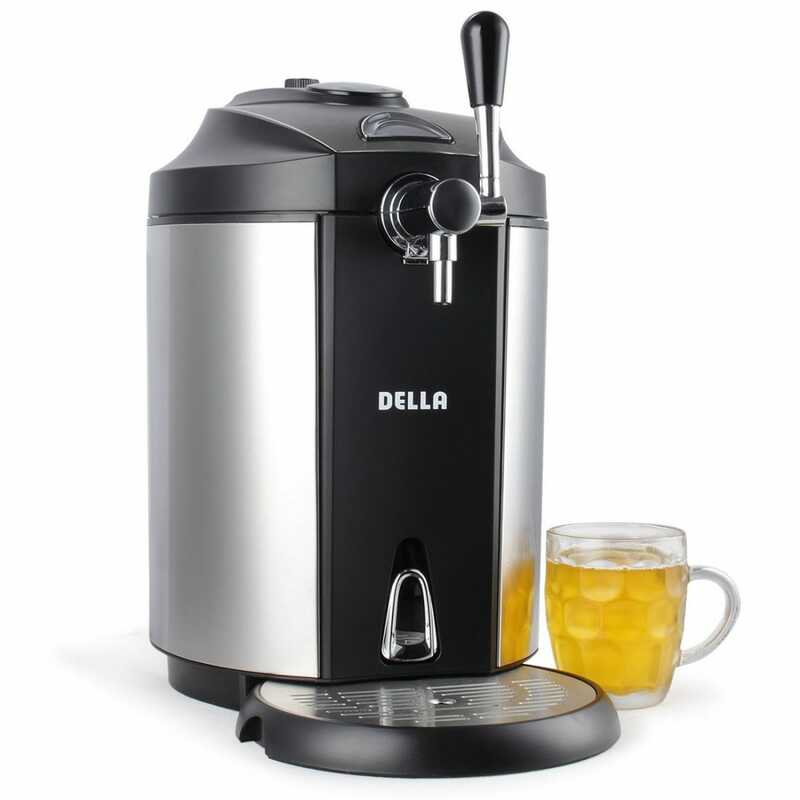 Just put a 5 liter universal keg or Heineken keg into the DELLA and enjoy fresh, cold beers in no time. 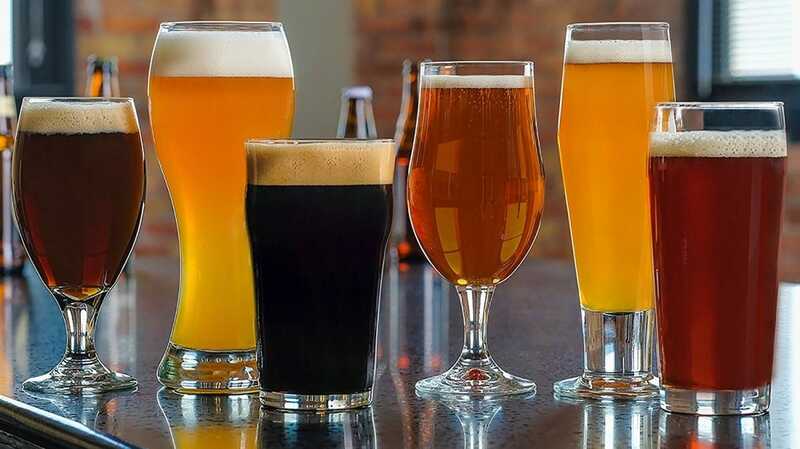 If you use your own kegs, you can use one of the 3 included Carbon Dioxide cartridges, which aid in the enhancement of the taste, texture, and aroma of the beer—otherwise, the Heineken kegs that you can buy at the grocery store are already ready, carbonation and all, to drop right in. Whether you use your own keg or buy a pre-filled one, you’ll be ready to enjoy your beer at your friend’s house, a tailgate, or your very own living room. Does your beer lover like to cook? 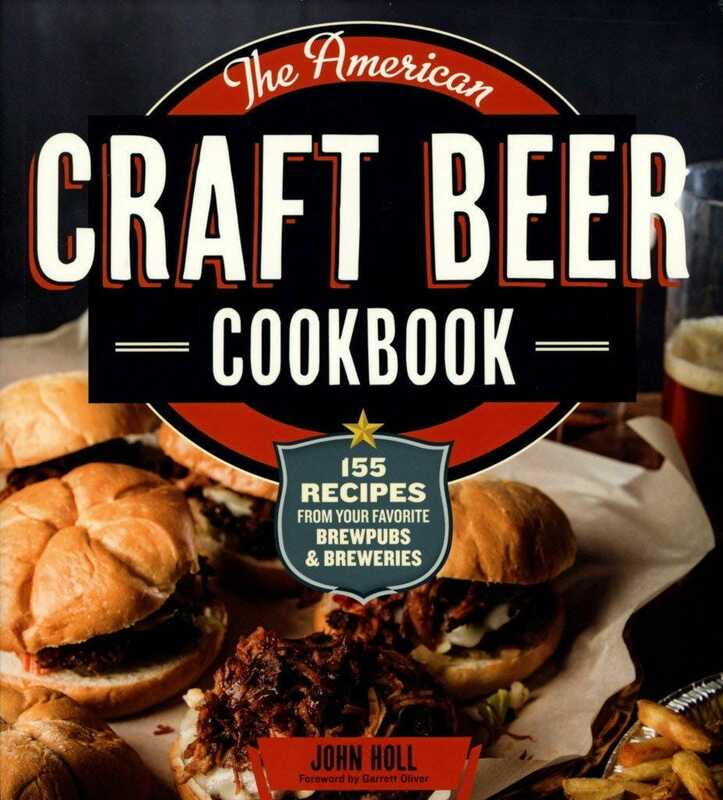 Get them something creative with The American Craft Beer Cookbook. This cookbook has 155 recipes that cover all types of food: breakfast, lunch, appetizers, dinner, and dessert, along with gluten-free and vegetarian options. This compilation of recipes is brought to you by breweries, pubs, and other beer lovers across the country, so expect diverse and delicious recipes from across the United States. There’s more to beer than just the drink, so enjoy food that celebrates the culinary applications and history of beer. 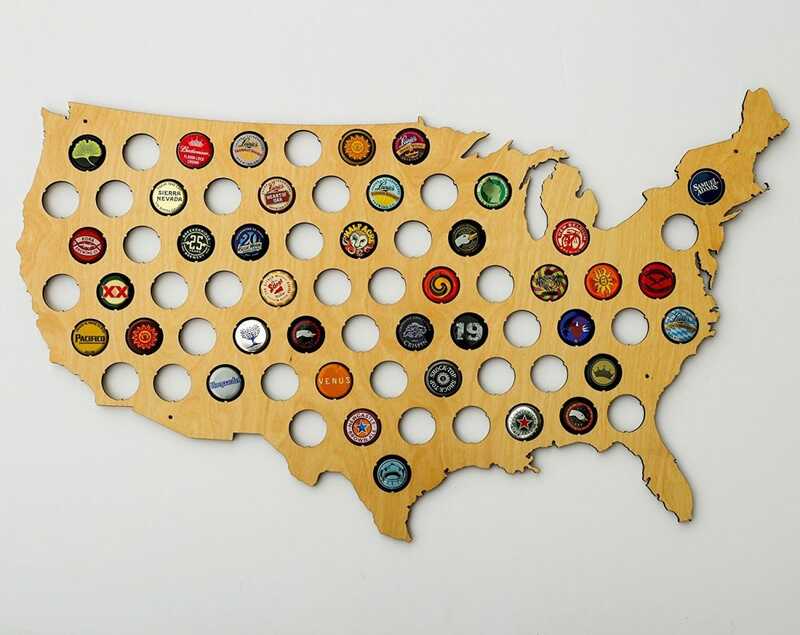 For the beer lover who enjoys bottled brews, check out the Skyline Workshop USA Beer Cap Map. This gift lets you stick a cap into the map after you’ve tried a beer from a certain part of the country. Have you been to the Sam Adams Brewery in Boston? Stick a cap in the New England spot. Did you go to a small brewery on your vacation that had the best IPAs? That cap can go on the map, too! Wherever you go and whatever you drink (whether it’s a twist off, imported, domestic, or craft beer), this map will hold your memories in a beautiful, durable, and glossy wooden gift. 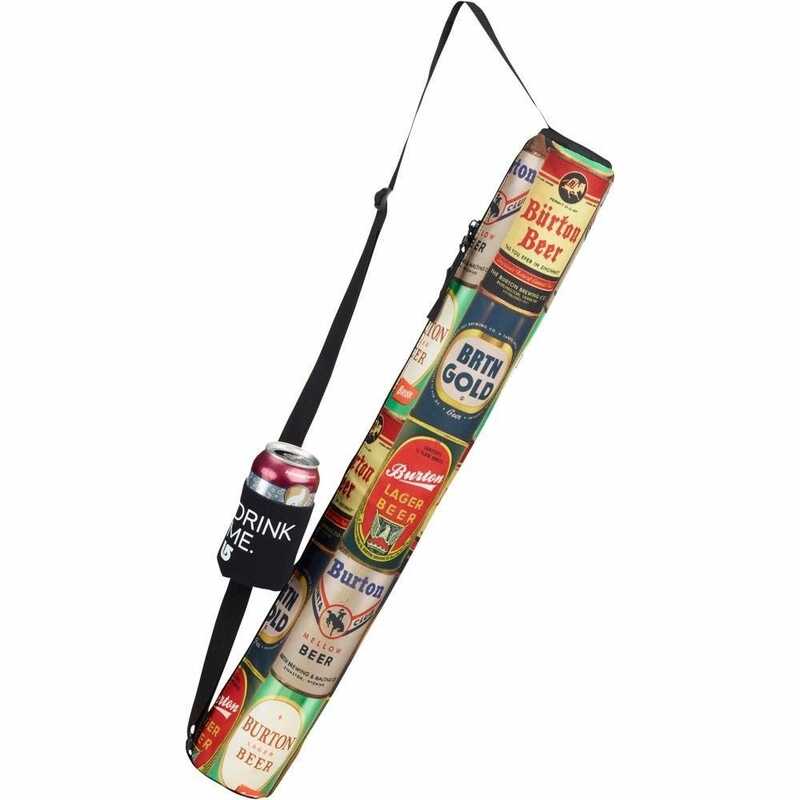 If you’re going to the beach and have a lot to carry, the Burton Beeracuda is the perfect gift to ensure that your cold beers stay cold while also making it to the shore. Put up to 5 cans of your favorite beer into the insulated sleeve and zip up the side—even carry one for the road with the koozie on the strap. There are 5 different and fun designs to choose from, but if you want a simpler approach to carrying your beer (and carrying a lot more), check out the Coleman 16-Can Soft Cooler. What do you get the beer lover who seems to have tried it all? Get them a kit to make their own IPAs or Ambers! The Northern Brewer Brewing Kit comes with everything the novice brewer needs to make their own beer with easy-to-follow written and video instructions along with great technical support. 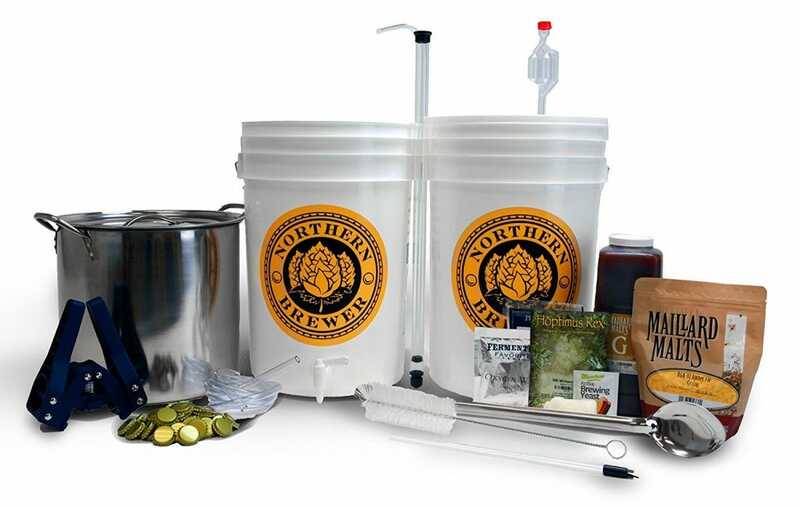 This kit lets you make 5 gallons of your very own beer, and comes with all of the tools and ingredients. Most beginner home brewing kits give you mediocre-tasting beer due to poor ingredients, cheap tools, and lack of documentation, while the Northern Brewer will give you smooth-tasting, high quality beer on account of the proper gear and fresh materials. Want an ice cold beer, but you forgot to put your 6-pack in the fridge? Instead of putting yourself through the torment of drinking a lukewarm can of beer (or having to wait while it chills off in the fridge), try the Chill-O-Matic Automatic Beer Chiller. Just place your beer and some ice into the compartment, slide it closed, and press the button to start the rotation for one minute. After that, your can should be cold enough to drink. 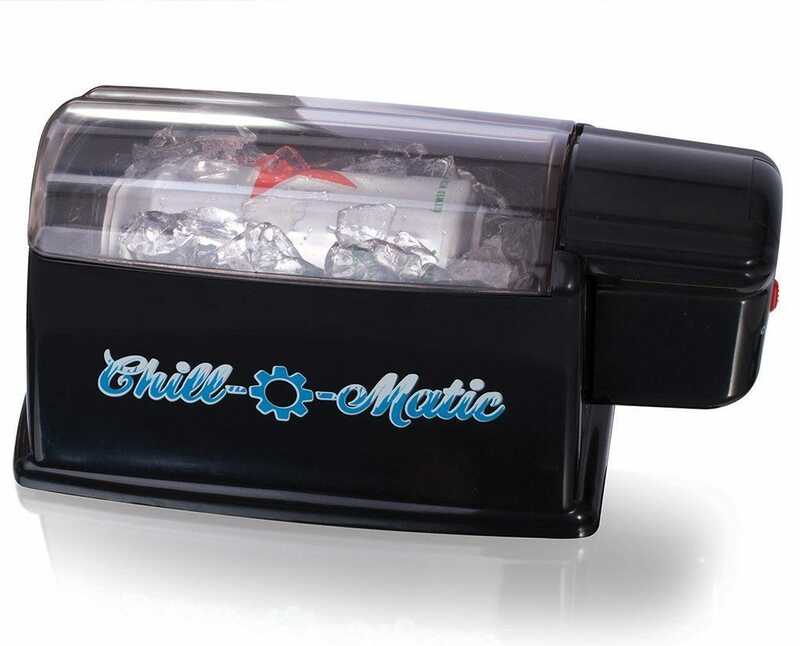 And don’t worry about your drink exploding—the Chill-O-Matic vibrates just enough to help with the temperature without shaking up your can too much and ruining your drink. If you love this idea but you want to check out a premium option, try the Cooper Cooler Rapid Beverage & Wine Chiller. 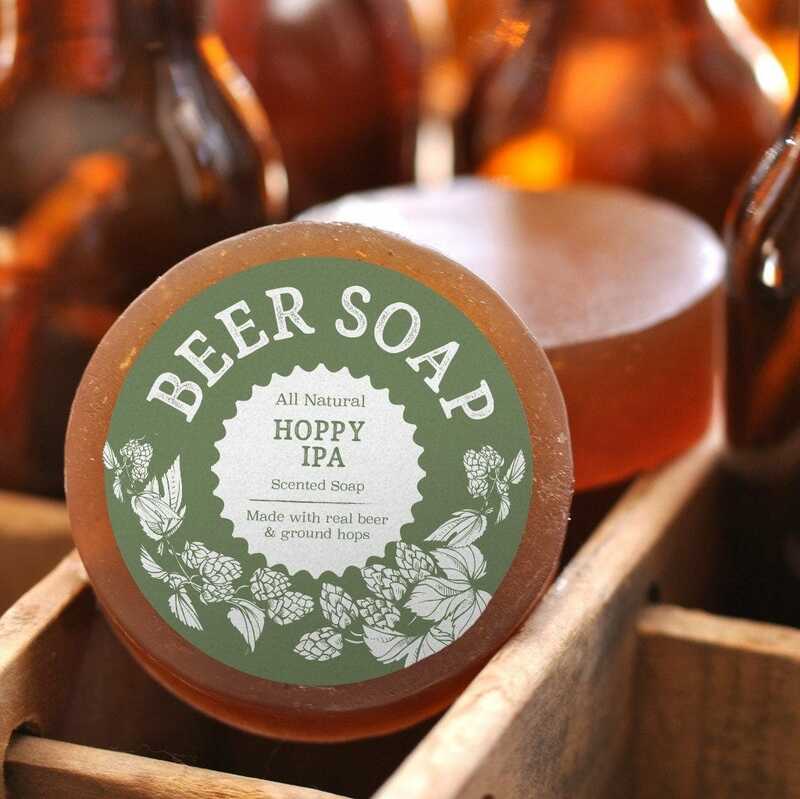 Whether you’re getting this gift for someone who loves beer, someone who loves soaps, or, hey, someone who just needs to shower, Swag Brewery Beer Soap is sure to please. The soap doesn’t smell overwhelming like a lot of scented soaps do—depending on which blend you buy, it can give off a fresh, spicy, roasty, fruity, or sweet smell that’s derived from beer. Made with real hops, it’s a great skin hydrating treatment since beer contains lots of minerals, vitamins, amino acids, and antioxidants. And if cleaning yourself with beer is right up your alley, check out Duffy’s Brew Premium IPA Craft Beer Shampoo. Maybe your beer lover will drink out of a plastic cup without a care, but why not get them the Libbey Beer Glass Set to make them look like a real connoisseur? 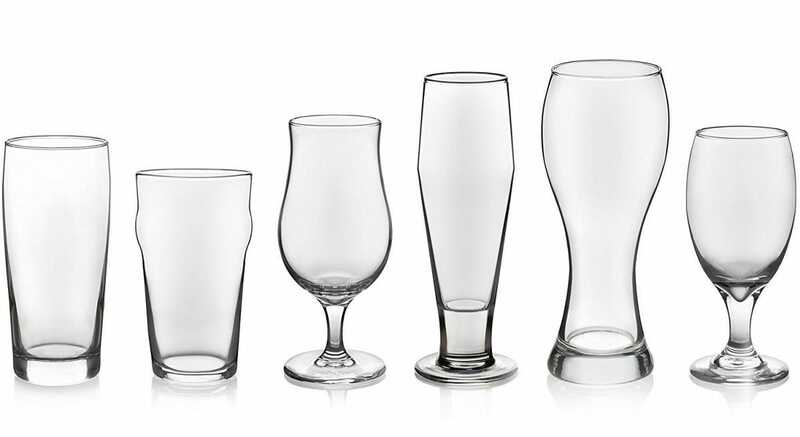 There’s sure to be a glass that fits your needs, especially with 6 different shapes and volumes falling between 14.75 and 23 ounces. Whether you’re feeling an English pub glass or a Belgian ale glass, this set will please both the casual and hard-core beer drinker. It’s important to note that if you want to drink with a friend, you should consider buying two of these sets so you can both pair the right glass with the right beer. And if you already have all the glasses you need, go that extra step and get your beer lover the Circleware Das Boot—a must-have for anyone in search of a complete beer glassware collection. What do you get the person who always loses their bottle openers? A wall-mounted bottle opener, of course. Never have to wait around to find a bottle opener again! 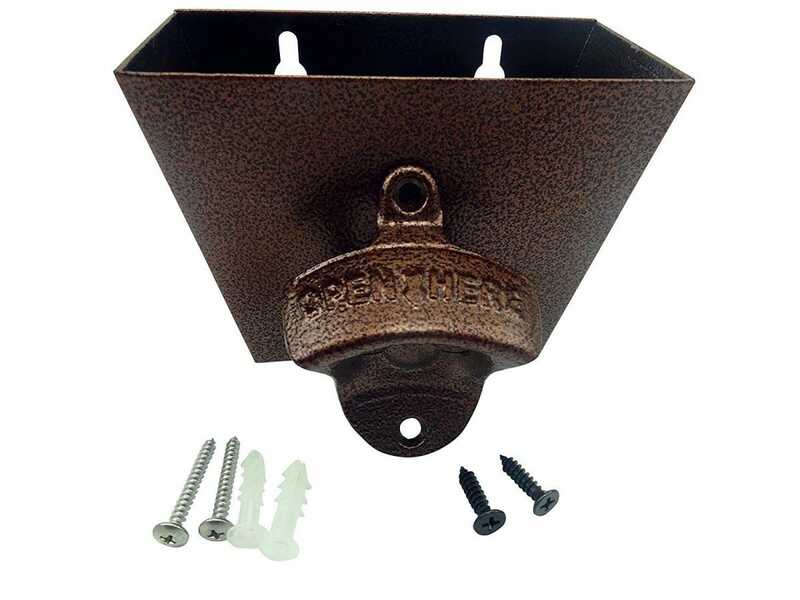 This vintage-looking, cast iron bottle opener is always in the same place, ensuring that you’ll be able to crack open your cold one without fail. Let your caps fall into the metal bucket so that you can collect them (and even put them in your USA Beer Cap Map). If a bottle opener is what your beer lover needs, but you need them on the go, check out the HQY Bottle Openers.